They Offer Free Repairs. A popular roofing company scam is when a team of workers shows up at your door and offers you free repairs after a storm. They tell you that since your roof was damaged from extreme weather, your insurance company is going to pay for the entire job and reimburse you later. This is extremely questionable, and probably untrue. A random roofer off the street has no knowledge of the details of your homeowners insurance policy, so you shouldn’t trust their opinion. Instead, you should contact your insurance company directly. They Ask to Climb on Your Roof. It’s a sure sign of a roofing scam when a so-called professional knocks on your door and asks to take a look at your roof. 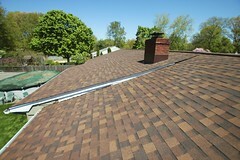 Never allow any roofing company on your roof unless you have first vetted their references and their qualifications. 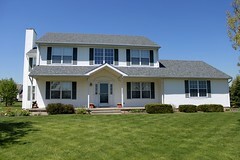 Dishonest contractors may go so far as to cause damage to your roof in order to convince you to hire them for the job. They Ask for Your Insurance Benefits. Never agree when a roofing company asks you to simply sign over your insurance benefits. They may claim that this will make the entire process easier for you since you won’t have to deal with the insurance company. While this sounds like it would save you time, they could easily skip town after collecting the insurance money, but before finishing your roof repairs. They Pressure You to Sign a Contract Today. 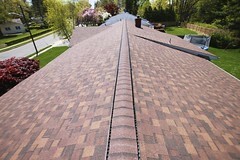 No homeowner should have to make an instant decision on whether to get a roof replacement. It’s one of the most expensive projects you will ever pay for as a homeowner, and you will only invest in a new roof a few times throughout your life. Some dishonest contractors use pressure in their roofing scams, convincing homeowners to put down a hefty deposit on the spot. 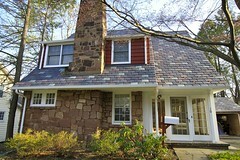 Need an Honest New Jersey Roofing Company? Biondo Contracting is a NJ Roofing Company that offers roof replacement services, roof installation services, roof repairs, siding services, and many other roof services to the Central NJ area. They service towns such as East Brunswick, Livingston, Short Hills, Point Pleasant, South Brunswick, Hillsborough, Bernardsville, Bridgewater, Green Brook, Madison, Somerset, Millburn, Bay Head, Springfield, Manalapan, North Brunswick, and many more. For more information on this expert NJ roofing contractor and it’s services, or for a free roofing estimate, call Biondo Contracting today at (732)257-2926 or visit the website.